The Produce Store is an extension of the Three Blue Ducks passion for providing the community with fresh, sustainably-produced goods and local produce. Located within the main entrance hall, The Produce Store stocks a variety of deli items, fresh produce (grown on The Farm and local area) and artisan goods and gifts from the surrounding area. 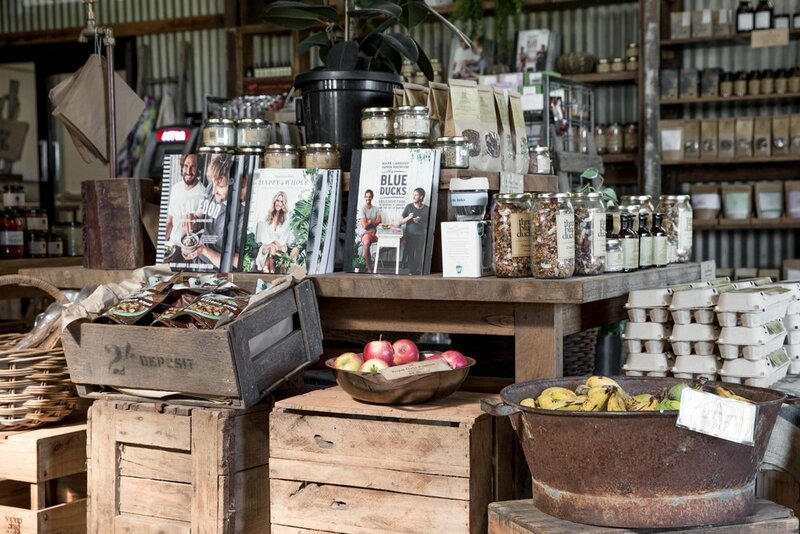 Take a walk through our larder filled with farm-fresh fruit and vegetables and mouth-watering selection of small goods from Three Blue Ducks’ own kitchen, Salumi, Byron Bay Cheese Co., Peace Love & Vegetables and many other local, artisanal producers. Our open pantry stocks a wide selection of products that showcase the best of what Northern Rivers region has to offer, including our popular 48hr bone broths (get in quick, they sell out!). Whether it’s a beach picnic, a long lunch or dinner party, we’ve got everything you need to make your taste buds dance.